1x Master cabin : A full beam cabin located on the bow and equipped with a queen size bed, small dressing, various suspended bagages then drawers under the bed; LG TV's, music system, air cond, private bathroom. This large cabin is equipped with a double bed - queen size, ample storage, air cond, LG Tv's, music system, private bathroom. On Portside, this cabin can either be converted into double or twin cabin; air cond, cupboards, LG Tv, music system, private bathroom. Stefano has over 10 years’ experience sailing through the Mediterranean Sea and the Ocean on board sailing and power vessels. Passionate about the sea and having good knowledge in both classic yachts and square rigged ships, he enjoys practicing match-race regatta. Stefano has excellent organizing skills and is reliable in boat management/engineering, maintenance and care. He is also focused on safe working practice. Stefano is very customer service oriented having previously worked on charter yachts. 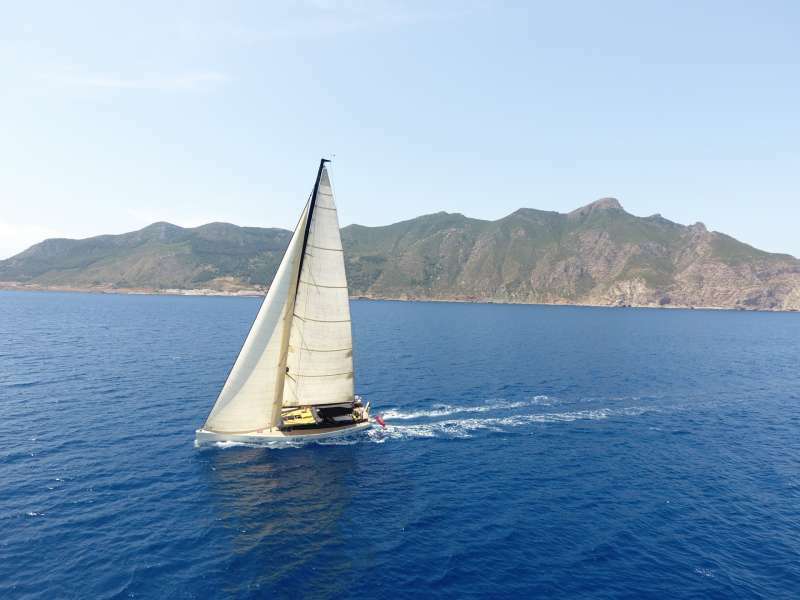 He previously worked as Captain on 60’ S/Y ACAIA cruising the Med, 67’ S/Y NOSTALGIA in the Caribbean and lately 54’ S/Y THE DUTCH WIND in the Med before joining the beautiful 63’ S/Y TUSCAN SPIRIT in 2015. Stefano is a dynamic person with a sociable and positive pesonality. Italian, born in Florence, passionate about art and the sea from an early age. She has worked in the artistic and logistic fields and services in Paris, accumulating experiences and professionalism especially in the world of the fashion and the theater. She spent most of the summer months learning to dive to become a dive master. Working onboard Tuscan Spirit allows her to merge her experience in public relations and love for the sea, giving her the pleasure of sharing and discovering the Italian territory and all local products (including gastronomy) and traditions. Large exterior dining area with hydraulic tables which can be converted into large bed sofa.